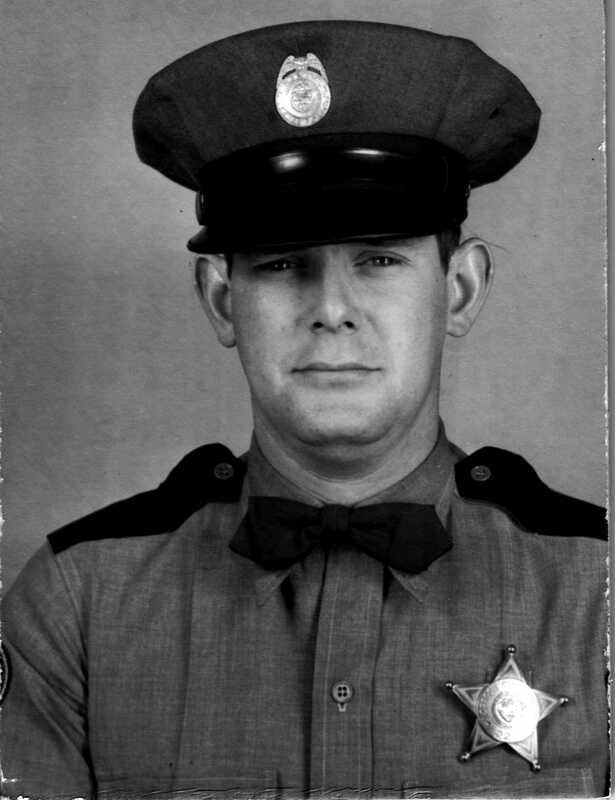 Trooper William T. Levinson joined the Oregon State Police May 19, 1949 in Florence, Oregon. He subsequently was assigned to the Salem office and on the evening of September 7, 1950 he was notified that a daily stolen automobile report had not been delivered to the Salem City Police Department. Trooper Levinson volunteered to deliver the report and was seen leaving the OSP office on a department motorcycle and heading West on State street at approximately 11:20 PM. As he approached the train tracks at 12th and State he was observed pulling into the gas station and was having some difficulty with the motorcycle. The motorcycle somehow was put into gear and lurched forward crashing into a passing train. Trooper Levinson was killed immediately. Trooper Levinson was a veteran of World War II. He served in the United States Navy for seven years and had 4 years of combat and was a member of the shore patrol as an investigator. He was survived by his wife Neva and 2 children as well as his parents, William and Ruby Levinson of Chicago, Illinois. He was born in Syracuse, Indiana on February 1, 1925. His widow received a check in the amount of $700 from the department benefit fund. It was reported that the local Naval Air Reserve was to distribute his ashes at sea.